for $185,000 with 2 bedrooms and 1 full bath, 1 half bath. This 1,600 square foot townhouse was built in 1988. Well maintained townhouse located in Crystal Brook development. This unit features 2 large Bedrooms and 1.5 baths. A generous sized Living Room, newer Eat-In Kitchen with lots of cabinet space, finished loft with skylights on 3rd floor for office, family room or guest room. Sliders to patio for relaxing outdoors! Newer furnace, central air and hot water heater. Quiet area in the back of the development. Short walk to pool and playground area. 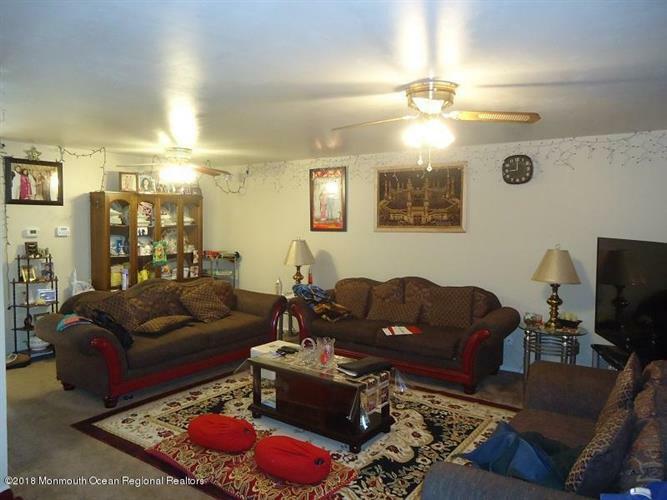 Close to highways, shopping, commuter bus and Jersey Shore. All cash offers should be submitted with proof of funds for closing. All non-cash offers should be submitted with a pre-qualification letter.